Conscientious objectors present one of the most contentious issues for South Korea, where mandatory military service is required of all able-bodied men. Some critics, including some politicians, want to see them take on the toughest and most dangerous tasks as an “alternative” -- including the removal of land mines. A group of lawmakers led by the conservative Liberty Korea Party last week moved to pass a bill prioritizing mine clearance, or demining, as one of the main tasks conscientious objectors would perform under an “alternative service” program. 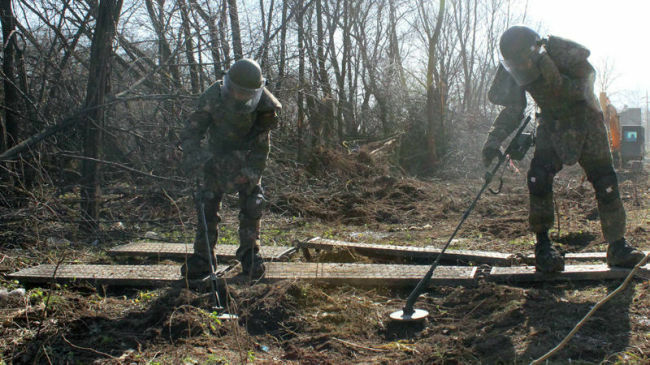 It is the first time that lawmakers have suggested mine clearance as an option, following a Constitutional Court ruling in June urging the government to come up with alternative forms of service for conscientious objectors. On Sunday, local media reported that the Ministry of National Defense was considering whether to assign conscientious objectors to facilities in the civil service sector such as prisons, fire stations and rescue centers. Despite reports that conscientious objectors could be made to serve for nearly twice as long as regular conscripts, some critics are not pleased. “Make sure finding land mines becomes their first and foremost job,” one Naver user wrote. Another wrote in a sarcastic tone, “I’m becoming a Jehovah’s Witness from today onward,” referring to the religious group that accounts for the greatest proportion of conscientious objectors here. “If the Republic of Korea’s Armed Forces really want to achieve strong military capabilities, they will not leave demining to conscientious objectors, who could refuse to do the job in times of war,” the tweet read. Support for conscientious objectors is scarce, not just online but also among the general public. 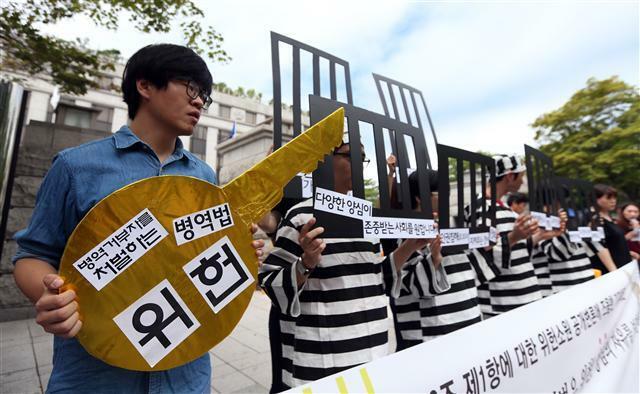 For instance, a Gallup Korea survey of 1,017 people in May revealed that nearly 7 in 10 South Koreans did not understand conscientious objection. Lee Jae-seung, a law professor at Konkuk University, said the strong reaction to conscientious objectors reflected the inequality that people experienced in the military, but he advised against subjecting conscientious objectors to mine-clearance tasks. Eum Sun-pil, a law professor at Hongik University, who also sits on the advisory committee, disagreed, arguing that conscientious objectors should have to take on military roles rather than being permitted to perform only civilian forms of service. “We often compare ourselves with Germany and Taiwan,” Eum told The Korea Herald in a cautious tone. “But South Korea is in a unique situation. To simply compare the level of difficulty of the work with these countries isn’t fair.